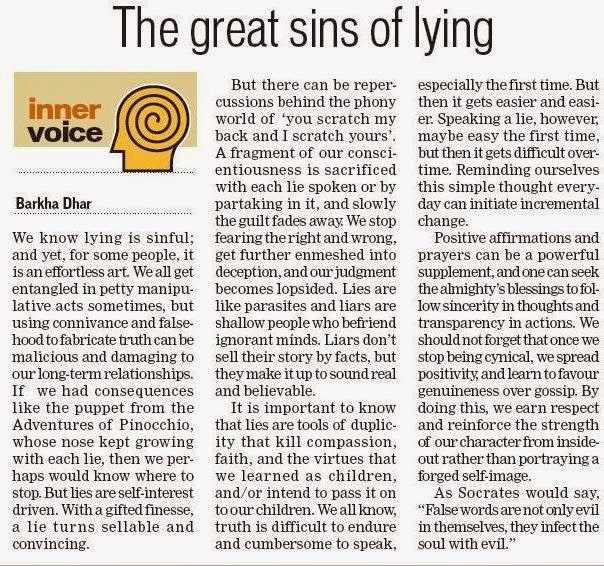 My latest article, The Great Sins of Lying (18th July, 2014) has been published in the Inner Voice section of The Hindustan Times, New Delhi, Gurgaon and Chandigarh. 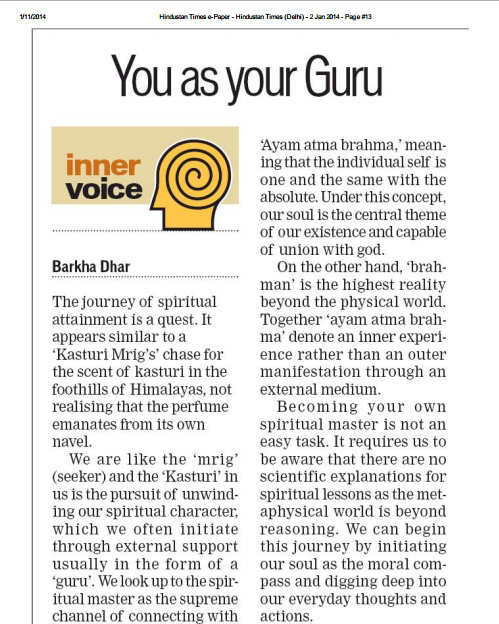 My latest article, You as Your Guru (2nd January, 2014) has been published in the Inner Voice section of The Hindustan Times, New Delhi, Jaipur and Chandigarh. 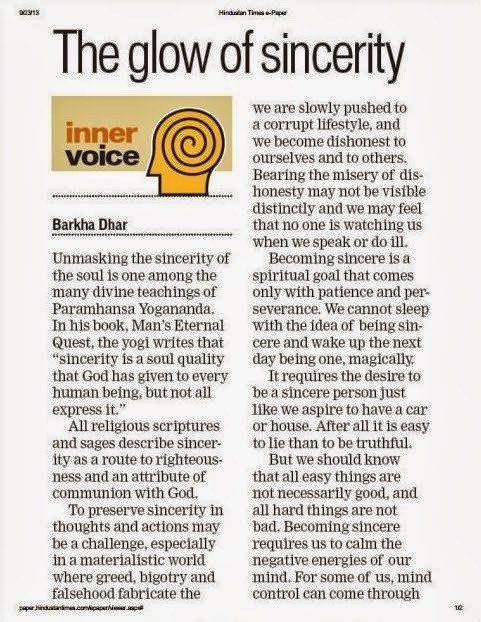 My latest article, Unmask Your Spiritual DNA has been published in the Inner Truth section of DNA India. Daily News and Analysis (DNA) is an Indian broadsheet published in English from Mumbai, Ahmedabad, Pune, Jaipur, Bangalore and Indore in India. तो अगर ये हमारा है, तो हम इस्के कानून मे भागीदार क्यो नही है? कयो नही हम इस्की प्रगती और बद्लाव के मददगार है? When we are beaming with success or luxuriating in wealth, we seldom feel miffed with god. In our affluence and prosperity, we take his blessings to be a mark of our good fortune. But what happens when we are ripped off of comfort and are faced with situations that challenge our faith in god? Losing a highly remunerative job, a loved one, or failing in life’s countless endeavors are examples of some unexpected mishaps. During privation, we often feel betrayed by god’s grace and his eternal love and begin to question his imperceptible plans for us. Here is a short story that would delineate our unfathomable relationship with god. When it is dark and desolate, we can rarely imagine god’s mysterious and profound ways of loving us. His ways may seem abstruse yet they contain life’s refined and pragmatic lessons. When god puts us to a test, we may hold a grudge against him. In our failing faith, we may lose hope in prayers and believe that god’s heavenly warmth has left us stranded. We, however, forget that it is the god himself who wants us to be marooned, penniless, and shipwrecked, so that he could rescue us from our doubts and insecurities. It is god’s tough love that makes us strong enough to find a new purpose in our swamped and submerged life. Hence, from a fragile being during our gala times we turn into resilient individuals during our rough patch. It seems that God’s elusive plans are surreal, which cannot be questioned, but could only be surrendered to. From Kashmir to Kanyakumari, India’s divine land has bore many sages. The transcendental teachings of these esoteric and learned saints and monks have enlightened us in different garbs. As miracle workers, some of these orange clad holy beings have been wandering high in the Himalayas, while some have been literary genius residing in the plains and sharing their spiritual knowledge through their profound speeches or writings. Few others have sustained the sanctity of society through their ideals of social service. In the diversity of their philanthropic mission, these sages have glorified humanity with love, selfless service, and contentment. The moral teachings of these saints are paragons that have helped us to upkeep our personal and social values and have sometimes even encouraged us to the path of self-realization. 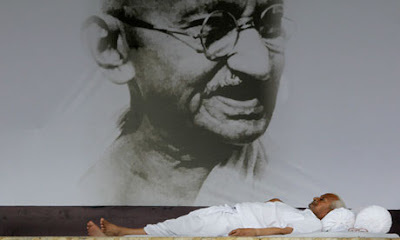 It would be iniquitous to deny that some of these ascetic qualities seem to be present in Anna Hazare who has created an enigma of social change throughout India. Anna’s values of simple living and high thinking have not only resurrected Mahatma Gandhi’s non-violent philosophy. 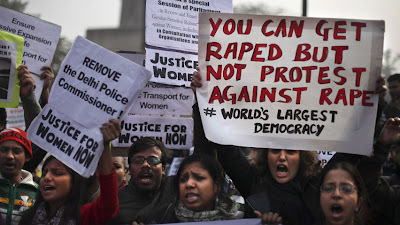 But have also awakened a nation to the savagery and malice of man against man in the form of dishonesty, bribery, and exploitation of the weak and vulnerable. 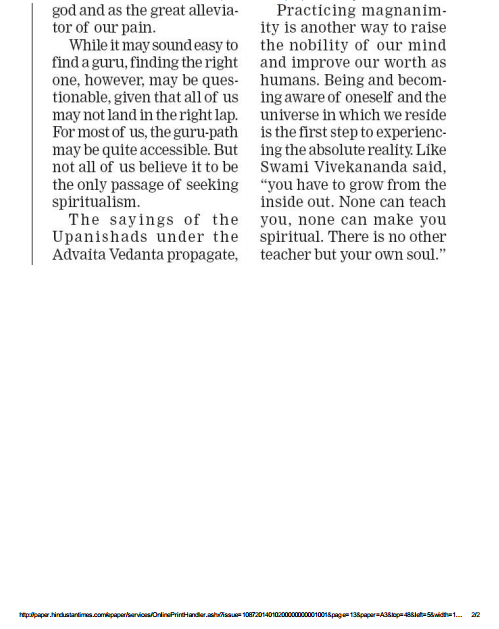 Anna’s beliefs that ‘manav seva is madhav seva’ (service to man is service to God) imbibe similar principles as propounded by our ancient scriptures and swamis. Anna says that life is an illusion, which we often spend in self-indulgence. 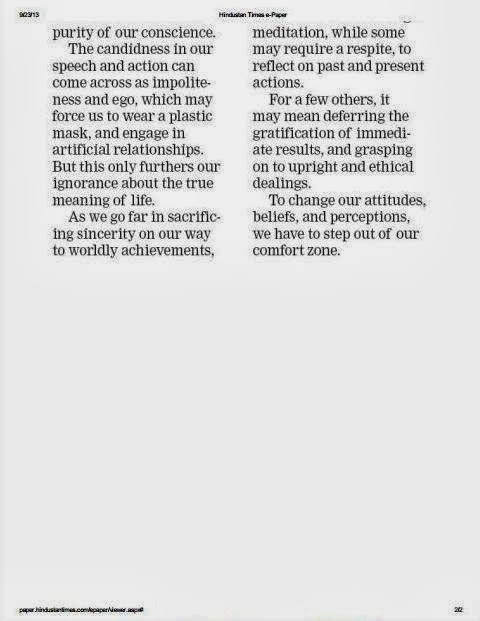 He believes that instead of internalizing the simple pleasures of life, we externalize them through obsession with material gains and selfish interests. Anna’s emphasis on moral values has indeed brought forth the essence of collective responsibility to social justice and has encouraged many to evolve out of caste bound prejudices. Inspired by Swami Vivekananda, Anna encourages everyone to have purity in thoughts and actions. He asserts that the more we have the capacity to bear other’s scorn, the better individuals we become by transforming our egoistic visage and molding it to serve the mankind.